His biographers say that Frank Lloyd Wright didn’t particularly care for NYC (or the East Coast for that matter), and he produced only one major work in the five boroughs: the spiraling Guggenheim Museum on 5th Avenue and East 88th Street. Another Wright-designed ranch house was constructed from prefabricated materials in Lighthouse Hill, Staten Island; both works were completed after the great architect’s death in 1959. Though Wright’s houses can be found mainly in the Midwest and West, there is a Wright-designed home “around the corner” in Great Neck Estates, on Magnolia and Myrtle Drives just east of NYC. It’s a small, seven-room house built in 1937-1938 for Mr. and Mrs. Benjamin Rebhuhn, a magazine publisher and dress designer, respectively. It was designed with a hole in the ceiling around an already-existing oak tree, but the tree died from excessive heat in the house shortly after, and the hole was filled in. The story goes that Ben Rebhuhn read an article in Coronet magazine about Wright, wrote the architect and asked him to design a house for him, and Wright assented. It was pretty easy in those days. A little farther afield from New York City, but definately within its suburbs, lies the Frank Lloyd Wright designed Usonia Homes near Pleasantville in Westchester County. Here in 1945 Wright designed the layout of this community for a cooperative of homeowners, as well as three of the actual homes built in the development. So while Wright may have had a distaste for high density living (based on his broadacre city concept), he had no problem designing in the more rural environs of New York. 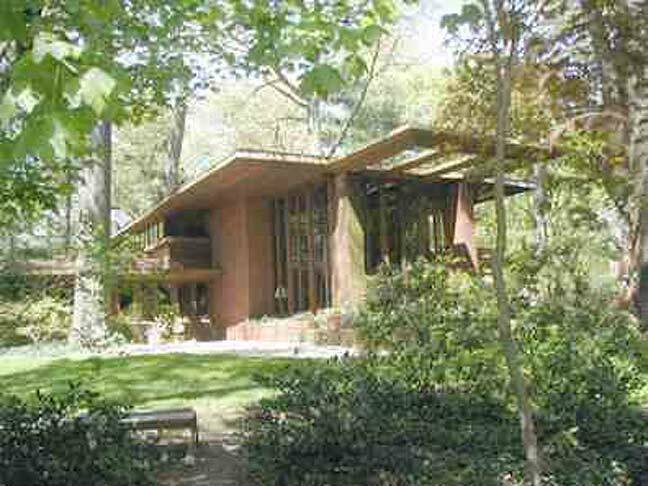 There is also a FLW house in Glen Ridge, NJ. Staten Island is one of the 5 boroughs which MAKE UP NYC. While it might be smaller (population wise), and less traveled (thank GOODNESS – enough of the dammed TOURISTS! ), it IS NYC proper. I think you need to reread Mr. Cohens comment. He said Pleasantville is farther afield. He didn’t even mention Staten Island. Maybe that’s why you’re so angry? Also, I think it sounds like you’re a proud New Yorker, so just remember that without us “tourists” (professional and pleasure seekers) you might not have as much to be proud of! If it’s not a suburb, then it’s urban. 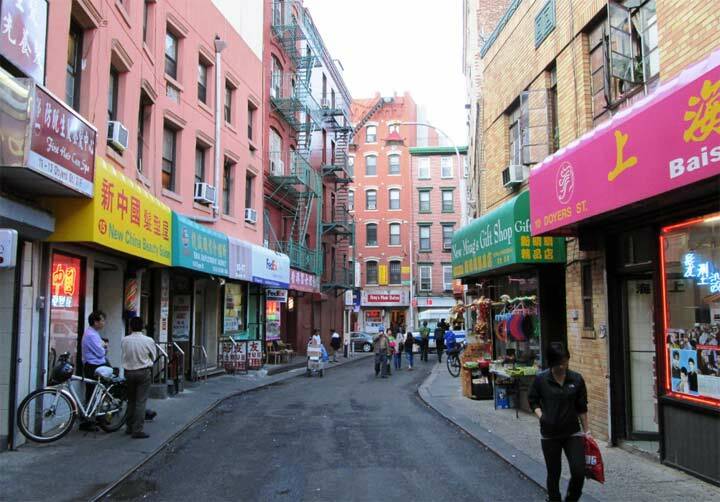 Manhattan’s population density is 66,940 people per square mile, Staten Island is 8,163. I would actually consider Staten Island a suburb of Manhattan and Brooklyn, which has a denisty of 36,356. Reading about FLW homes in Great Neck. Heard that there is one on Lake Rd. Can anyone verify it? Can’t seem to find any info to support. I grew up around the corner from the Rebhuhn house and their son was my friend, Ronnie. her own little studio in the back yard. It was a quirky lot. As years went on the property became over grown but now it is all cleaned out. If you were not looking for it you would not find it as it blends into the bushes. I remember my mother talking about the tree in the house. Can you visit the house now? Anyone living there?